Kent Guida has written a good comment on my post about "Herbert Spencer's Utopian Anarchism." I suggested that Spencer and Murray Rothbard were similar in their utopian vision of anarchy as a stateless society without political rule. Against such utopian anarchism, Darwinian conservatism would assume that political rule cannot be abolished because it expresses the evolved nature of human beings as political animals. David Gordon commented that Rothbard was not a utopian in the same way as Spencer. But Guida observed that there was a kind of "end-of-history" utopianism in Rothbard insofar as he foresaw the disappearance of the thumos--male assertiveness or spiritedness--that drives political ambition and the love of glory. Darwin rightly saw that the tribal conflict in human evolutionary history had shaped the political nature of the human animal. Human beings naturally live in social systems that require (at least occasionally) central coordination. In primitive human communities, such as foraging bands, this centralized coordination of society is informal and episodic. In civilized human communities, such as bureaucratic states, this centralized coordination is formal and enduring. Darwin argued that the history of tribal group selection as well as male competition for females created a male propensity to assertiveness and spiritedness that would manifest itself as the pursuit of military glory and political leadership. Rothbard was right to see that primitive human communities--like the ancient tribes of Ireland--could organize their social lives without centralized states. But he was wrong to infer from this that those primitive communities had no political rule at all. Even in such primitive tribal groups, men competed for dominant positions as chiefs and war leaders. Darwinian conservatism supports the principles of limited government as necessary for checking and structuring male political rivalry. But to assume that political rivalry could be abolished in an anarchic society is utopian because it denies the desire for dominance and distinction as rooted in evolved human nature. Some of these points have come up in previous posts, particularly in my response to Harvey Mansfield's Manliness, which can be found here. John West has written his final response to me, which can be found here. He hasn't added anything that can't be found in his book. But I would like to make a few points. I have said that blaming Darwin for the eugenics programs of the Social Darwinists is like claiming that "Christianity was responsible for Hitler's anti-Semitism because Martin Luther's anti-Semitism was often cited by the Nazis." West's response is to say that "The Luther comparison is inapt. Martin Luther was not the founder of Christianity, and so any claims he may have made are not necessarily authoritative interpretations of the Christian tradition. But Charles Darwin was most certainly the founder of his own theory." But that's exactly my point. Just as so-called Christians have distorted the teachings of Jesus, so have so-called Darwinians distorted the teachings of Darwin. Now, of course, West would say that these are not distortions because Darwin provided "a logical rationale for eugenics." But to support this, West has to selectively quote Darwin. He quotes Darwin's remark about how allowing the weak members of society to breed must be "highly injurious to the race of man." Yet he does not quote the immediately following passage where Darwin says that supporting the helpless expresses sympathy, which is "the noblest part of our nature." 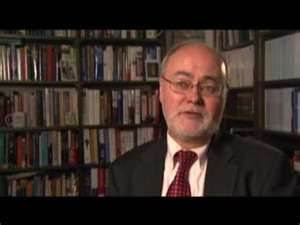 Nor does West acknowledge Richard Weikart's admission that the title of his book--From Darwin to Hitler--is inaccurate, because there is no direct connection "from Darwin to Hitler." Of course, Hitler and others were able to use vaguely Darwinian language to rhetorically justify their morally abhorrent policies, just as Luther was able to quote from the New Testament to justify his anti-Semitism. But in both cases, we can see that such rhetoric is deceptive. Having just participated in a Liberty Fund conference on Herbert Spencer, I am prompted to comment on how Spencer's evolutionary ethics and politics compares with Darwinian conservatism. One of the most common complaints about my conception of Darwinian conservatism is that it's only a restatement of Spencer's social Darwinism, which has been generally discredited as morally repugnant. Spencer's classical liberalism contributes to libertarian conservatism through his defense of the principle of equal liberty--that each individual is entitled to the fullest liberty compatible with the same liberty for every other individual. Spencer supports that principle as the fulfillment of human evolutionary nature. And so, Spencer's evolutionary liberty looks a lot like the Darwinian conservatism that I have proposed. The crucial difference from Darwinian conservatism, however, is that Spencer is a utopian anarchist, because he assumes that human nature is perfectible and that the evolutionary changes in human nature will inevitably bring about an anarchistic society with perpetual peace where human beings can cooperate without any need for government. By contrast, my Darwinian conservatism assumes that the evolutionary nature of human beings is imperfectible in ways that dictate limited government to secure individual liberty. Spencer's evolutionary theory is orthogenetic or teleological in that he assumes that evolutionary history is the unfolding of a cosmic pattern of progress that is inevitable. This teleological evolutionary history moves through four stages. In the first stage, human beings lived as savage foragers in anarchic societies without government. In the second stage, the predatory warfare of human beings drove them into militant statism, in which order was based upon "status." Most recently, human beings have evolved into a third stage of industrial statism, in which order is based on "contract" or voluntary association. In modern free market societies, individuals are largely free to associate with one another on the basis of voluntary exchange. To secure the conditions for such freedom, government is needed to secure domestic peace, enforce contracts, and defend society against external threats. The need for military defense requires severe restrictions on individual liberty. Eventually, human beings will become so cooperative that they will enter a state of perfect and permanent peace. And without the threat of war, they can enter the final stage of evolutionary history--a civilized anarchy in which human beings can organize their societies spontaneously without government. Spencer's naive utopianism turns on his assumption that human nature can be radically transformed by the conditions of evolution so that human beings become perfect in their cooperative sociality. As he says in The Study of Society (chap. 14), "human nature will slowly adapt itself" to the conditions of harmonious life." A Darwinian conception of evolution would agree that human nature has changed in evolutionary time, but this change has occurred very "slowly." So the present nature of human beings will be stable for tens of thousands of years. By contrast, Spencer's Lamarckian understanding of evolution presumes that human nature can change quickly and radically in response to changing social conditions. In this respect, Spencer is close to the utopian historicism of Marx. And like Marx, he forsees an evolutionary transformation of the human condition with the achievement of a stateless society. Some libertarians--like Murrary Rothbard--have shown a similar utopianism in arguing for anarchy and the complete abolition of the state. Darwinian conservatism assumes a realist conception of human nature in which government will always be required to restrain human imperfection. But that very imperfection dictates a limited government based on the principle that power corrupts and therefore we need a government of limited and balanced powers to minimize the dangers of absolute power. My replies to John West's book Darwin's Conservatives can be found here and here. West has been writing responses to my comments. I have commented on Parts 1 and 2 of his responses. Now, he has written Part 3, which can be found here. West does not introduce anything new in this response. I would suggest that readers look back at my replies, as well as my book, to see the points in dispute. I would draw your attention to West's admission that proponents of ID cannot satisfy the high standards of proof that they apply to Darwinian science. ID cannot offer any testable explanations for exactly how, when, and where the intelligent designer created "irreducibly complex" mechanisms of life. Proponents of ID do not have to do this, West says, because it is enough for them to show that "we have overwelming evidence from the natural and social worlds that intelligent causes are routinely capable of creating structures that exhibit the complex and purposeful arrangement of parts." This sentence illustrates the fallacy of equivocation that I identified in the chapter on intelligent design in my book. The equivocation is using the term "intelligent design" without specifying whether the "intelligent design" is natural or supernatural. It is true that we have overwelming evidence for human beings acting as natural intelligent causes that are routinely capable of purposeful designs. But it is not true that we have overwelming evidence for supernatural intelligent causes that routinely create purposeful designs. By using the term "intelligent design" without distinguishing between natural or human intelligent design and supernatural or divine intelligent design, the proponents of ID employ equivocal language to make it look as though inferring supernatural causality in the natural world were a matter of "routine" experience, when in fact, of course, it is not. My previous replies to John West's book Darwin's Conservatives can be found here and here. West is now writing a response in four parts. The first two parts can be found here and here. I will comment now on these first two parts. I will comment on the second two parts as soon as they appear. One remarkable feature of this continuing debate with West is that although we disagree strongly with one another, we can discuss our disagreements in a civil and reasonable way. This is rarely the case in the debates over Darwinism and intelligent design, because those on both sides of this debate are often so emotionally aroused that they cannot speak to one another in a tone of mutual respect and rational inquiry. I am grateful to John for his willingness to engage in a civil discussion about issues that deserve serious thought. One of the characteristics of a civil discussion is that the participants often discover important grounds of agreement. That is the case here. As West indicates, he agrees with me that evolutionary explanations are persuasive in many respects. He also agrees with me that there are biological grounds for certain traits of human nature, which would support "biological conservatism," although he doubts that Darwinism provides a good explanation for such biological traits. And, finally, he agrees with me that Biblical religion is not necessary for morality, because there is a natural moral sense or natural law that can be known "through reason and conscience" without any necessity for Biblical revelation. These points of agreement are not as clear in his book as they are in his blog posts. In his book, he refers to "traditional Judeo-Christian morality" (21) and the Biblical teaching "that human beings are created as the result of God's specific plan" (143), as if morality would not be possible without Biblical revelation. But his blog posts now make it clear that he believes in a natural moral law rooted in human nature that does not require religious belief. Although religious belief can often confirm or reinforce our natural moral sense, our natural morality stands on its own natural ground, even without religious belief. This would seem to be very close to Darwin's position in The Descent of Man: "Ultimately, our moral sense or conscience becomes a highly complex sentiment--originating in the social instincts, largely guided by the approbation of our fellow-men, ruled by reason, self-interest, and in later times by deep religious feelings, and confirmed by instruction and habit." Moreover, Darwin suggested, "any animal whatever, endowed with well marked social instincts, would inevitably acquire a moral sense or conscience, as soon as its intellectual powers had become as well developed, or nearly as well developed, as in man." But it is unclear to me whether West would fully embrace this Darwinian account of the natural moral sense, because he appeals to the "natural law/natural justice tradition" as if it were different from Darwin's "moral sense or conscience." He suggests that Darwinian morality cannot support "permanent moral standards." But he never explains exactly what he means by these "permanent moral standards," or how they differ from a moral sense rooted in human biological nature. I would say that there are "permanent moral standards" insofar as there is an enduring human nature that supports morality as a condition for the fullest satisfaction or flourishing of that human nature. So, for example, marriage and family life are "permanent moral standards" insofar as they satisfy the natural human desires for sexual mating, parental care, and conjugal bonding. I cannot be sure whether West would accept this or not. He seems to believe that the "permanent moral standards" are somehow rooted in human nature in such a way that they can be known naturally without any need for religious belief. He also agrees with me, however, that all universal moral rules require the variability that comes from practical judgment. "Deciding how to apply an abstract principle of morality to any particular situation can be difficult and requires the ability to engage in prudential reasoning." Consider three of the moral issues that come up in our exchange--polygamy, slavery, and infanticide. A Darwinian account of morality woud suggest that although polygamy is common in human history, it is less satisfactory that monogamy, because of the disruptions that arise from the sexual conflicts of the co-wives. We can see this without any religious belief that monogamy has been divinely commanded. Would West agree? Darwin condemned slavery as a violation of our natural moral sense, because it violates our natural desire for justice as reciprocity. The Bible allows for slavery. But West argues that this is only a concession to sin, and that in fact the Biblical teaching that all human beings were created equally in God's image implicitly condemns slavery as immoral. And yet, if West believes in a natural moral law that does not require religious belief, then he believes that the immorality of slavery arises from its being contrary to human nature, regardless of any religious teaching. So would West agree that slavery violates our natural moral sense? The natural desire for parental care inclines human beings to feel deep attachments to their children. In difficult circumstances, however, parents have sometimes killed their infants. Our concern for protecting helpless offspring and our judgment that in modern societies there is no need to kill deformed newborns leads us to condemn infanticide as a crime. How would West account for this? He speaks of "the intrinsic value of handicapped infants or adults." I would explain this as an expression of our moral sympathy and our moral reasoning about the conditions for preserving respect for human life. Would West have a different explanation? On the matter of explaining the origin of the mind, West rejects my claim that the mind evolves as an emergent product of the brain. But what is his explanation? And how can he explain this as a purely natural process of natural law that does not depend on religious belief? On the matter of "free will," I repeat my claim that if "free will" means "uncaused cause," then human beings do not have "free will," because human beings are not self-subsistent beings that create from nothing. But if "free will" means only acting to satisfy our natural desires through our deliberate choices, then we are free in that sense. West does not explain whether he agrees with this or not. In his book Darwin's Conservatives, John West of the Discovery Institute has criticized my arguments for Darwinian conservatism. In my postings of November 12 and 22, I replied to his book. Now he has begun a series of postings with his response, the first of which can be found here. I will be writing my response soon. This is a warm-up for a session in April at the meeting of the Philadelphia Society where John and I will debate the relationship between conservatism and science.